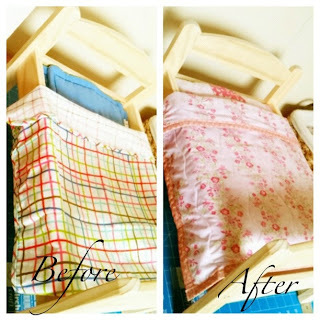 Monkey Huggers: What I've been creating this week! I've had a bit of a "finishing" week this week. 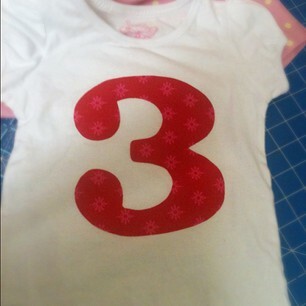 There has been one doll in particular that I have been working on for... well... let's just say, "a long time". I finally finished her this week and I am soooo happy with how she turned out. She's a pattern that I have been working on for months. 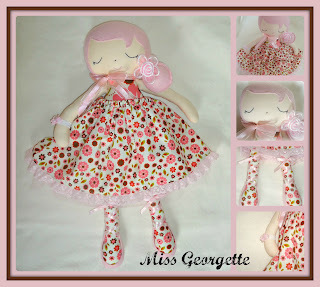 I have had quite a few trials that haven't been up to scratch, so have not seen completion, but finally I think Miss Georgette is perfect so she has been finished, photographed and now listed in my hand-made.com.au store Monkey Hugs. 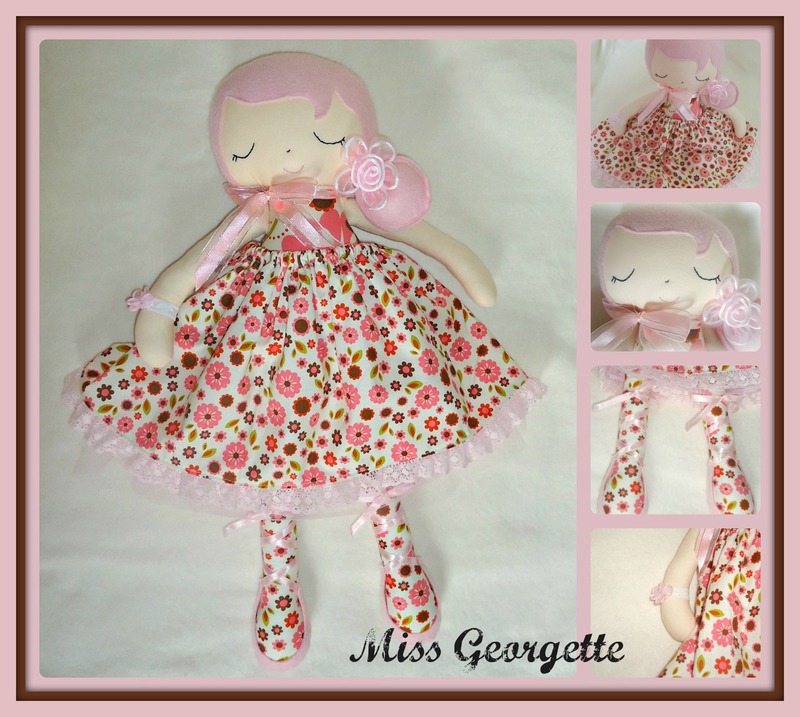 Anyone who follows me on instagram would have seen a photo of her a couple of days ago, but for those who don't, without further ado, meet the delightful Miss Georgette! 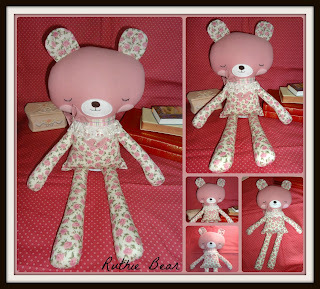 And before all of that, I finished the gorgeous Ruthie Bear, made from a retromama pattern. Oh, and I have also been working on a kokeshi doll softie, but she's not quite done yet, so no photos to show yet! What have you all been creating this week?